This protocol is intended to be paired with rabbit-derived antibodies that are approved for use on paraffin-embedded samples processed with citrate antigen retrieval. Ethanol, anhydrous denatured, histological grade, 100% and 95%. 20X Phosphate Buffered Saline (PBS): (#9808) To prepare 1 L 1X PBS: add 50 mL 20X PBS to 950 mL dH2O, mix. Adjust pH to 8.0. To prepare 10 mL, add 30 µL Triton™ X-100 and 0.5 mL 20X PBS to 9.5 mL dH2O. Mix well then add 0.1 g BSA (#9998), mix. NOTE: Do not allow slides to dry at any time during this process. Rinse sections two times in dH2O for 5 min each. 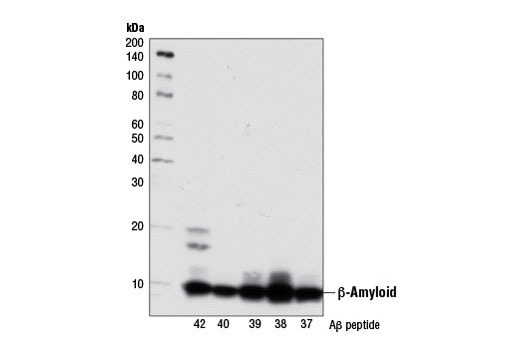 β-Amyloid (D54D2) XP® Rabbit mAb recognizes endogenous levels of total β-amyloid peptide (Aβ). 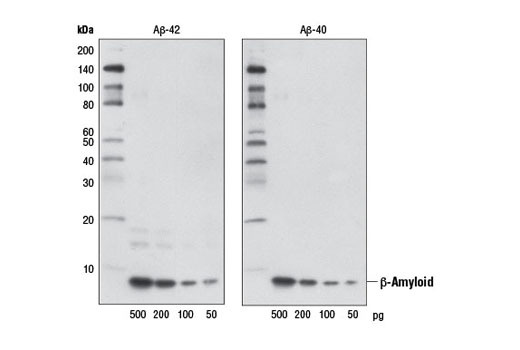 The antibody detects several isoforms of Aβ, such as Aβ-37, Aβ-38, Aβ-39, Aβ-40, and Aβ-42. 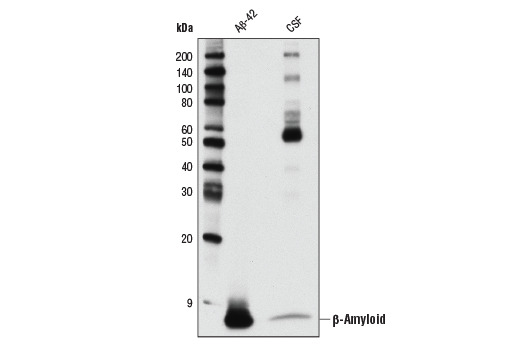 This product detects transgenically expressed human APP in mouse models.